I'm still enjoying the creative challenge of designing lunch bags. 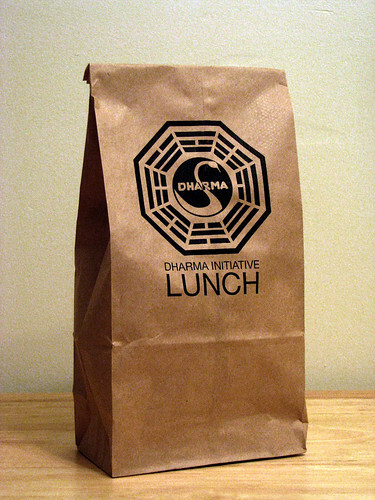 Here's a recent attributed design using the LOST tv show inspired Dharma Initiative logo. Hi Sam, I really like your work and hope that this interests you.